Did you ever wonder why are all the tunes we listen to now set to the frequency of 440 Hz, while 528 Hz gives us peace and healing power and the other frequencies have many effects on their own diameters? How long have you been poisoned by saying “music is a soul food”? Everything started with “Standard Tuning” fixed to the music = 440 Hz. The Rockefeller Group, which commercializes music for military purposes. The music industry monopolized this standard frekans. They abused it, doing scientific research on music. They gave the ground for making people open to irritability and grief and psychosocial incitement. And as a result , they have also made profits through increased sickness rates and financial crises. The alternative music frequency, A = 444 Hz (C = 528 Hz), was suppressed. 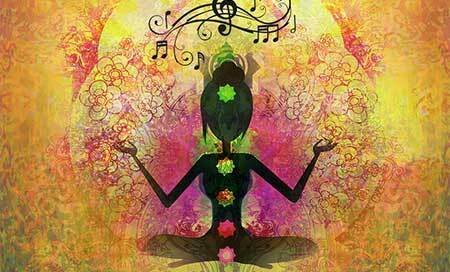 This suppressed frequency, “good vibrations”, is capable of improving all kinds of diseases and stress. But unfortunately, it was first censored and then tried to be changed by changing the standards. Vibrations affect our whole life. In particular, our cells must be in regular vibration to recover and regenerate. It is possible to shift to the “dark” or “bright” side by power of vibrations. We all know that molecules are beautiful when we say nice things. Nearly 80% of our bodies are made of water, and water has a super-conductive liquid crystal structure. Today there are many people who find modern music busting and aggressive. Many of us are emotionally affected by this kind of music. Standard Anglo-American musical instruments and voices continue to be tuned to create massive hysteria. Throughout history, there have been forces that make war, make incredible profits, and keep the population under control. In 1770 Rothschild started his plans for the Illuminati. With a network created through the purposeful banks, he established a global world system to be managed by him and his followers. Light and sound have mathematical frequency values that can be produced and measured. Now, as we listen to conspiracy theories, this absolute power changes our biology, psychology and behavior while controlling our “consciousness” with bioenergetics, certain frequency settings and electromagnetic manipulations. Initial works began with Elvis and British group British Invaders. Beatles followed this. A Beatles concert was canceled in Israel because it was said to “create mass hysteria, trigger sexual desires and escalate aggression.” In this, Mossad played an important role in getting close to the British royal family. In 1938, the Rockefeller Group set up British-American radio and television cartels and launched anti-Semitism with the Nazi movement. In 1957, music broadcasts of aggressive teenagers in Canada began to be made and were very effective. In 1938, studies were started mechanically to control the emotions of the listeners before the frequencies were fixed to the standard. In this way commercial interests could be pre-imposed on masses. These investigations are being used immediately to convince the masses. The same system is being used for training: “Programmable Mind Sets”. The commercial controversy between NBC and GBS caused the public to experiment with various kinds of experiments. In order to attract more followers on their side, psycho-galvanometer experiments were carried out using various sound effects on the public. According to these measurements, how the people will be directed is determined. A = 440Hz, financed by petrochemicals and drug giants, was used during World War II. Hitler’s occupation of Poland in Germany started the war. Despite the rebellion of musicians all over the world, this standard was accepted by all nations against Hitler with Nazi propaganda. All research done showed that 440 Hz of people are incompatible with the energy centers (spikes) between the heart and the tail. On the contrary, it was observed that the chicks on the heart were warned. Theoretically, the vibrations triggered the eclipse and left brain. But the emotional and loving mind peculiar to the right brains suppressed and dulled creativity. With the closure of the third choke called the Eye, human beings will no longer be able to use their public awareness. Metaphysically, the interval between A = 440 Hz and A = 444 Hz was regarded as the “Intervene of the Devil” in the music world. The reason for this was the fact that a sound, which is far from harmony, could be called a disgusting tone, came out with the same two notes being stolen. It has been observed that A = 444 Hz in previous music studies is in harmony with nature and human. If the human being was spiritually suppressed, the musical tone of A = 444 Hz (C = 528 Hz) would not be accepted as a religion. Today, many smart heads and sensitive musicians are starting to make tuning and digital adjustments at 444 Hz. However, while the number is small, many celebrities, especially Madonna, turn young people into programmable people with standard tunes, choruses and specially manufactured parts. Music can take over your vibrations as bioenergetics, dominating your subconscious mind, controlling body chemistry, psychoneurotics and human health. In a study of sound waves in the Gulf of Mexico, it was seen that the gulf wastewater was largely cleaned, even in 1 day, and the fish grew again. The 528 Hz vibrations, called love frequencies, can touch the heart of everything that exists. All beings have their own vibrations, even if the internal organs are calculated to have separate vibrations. The frequency of 528 Hz has miraculous capacities to heal all universe. It has restorative power of DNA. 396 Hz is free from fear, 741 Hz increase awareness and awakening, 582 Hz to connect with our soul.